Bo Hasn't Checked Out Already, Has He? 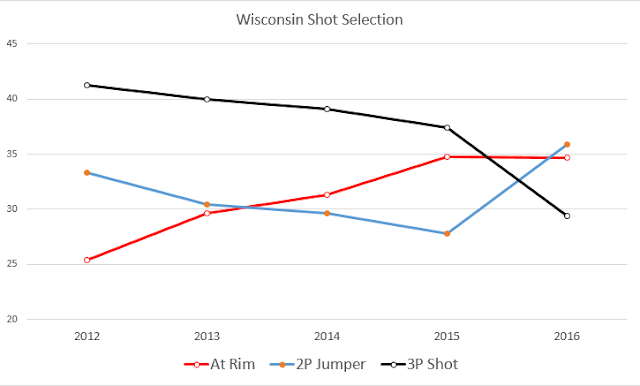 This is no way to run an offense, which is certainly not news to Bo Ryan. 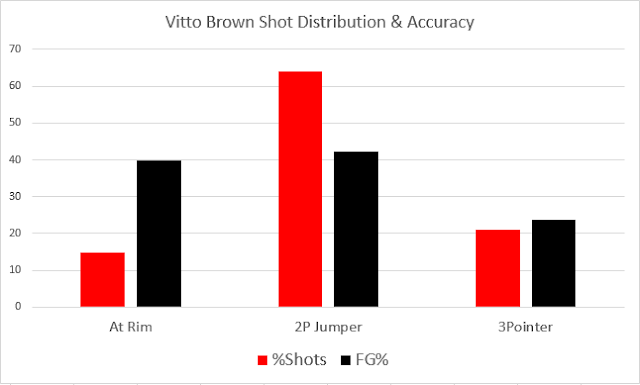 For one, his offenses have eschewed midrange basketball before it was cool. And lest you think he just shows up to church on Christmas and Easter, the guy's defense is built around suckering teams into taking midrange shots. The only shot he appears to be competent at converting happens to be a bad one, which might explain why he takes so many of them. Can Your Team Be Fixed?